Reinking staged and starred as Roxie Hart in the revival of "Chicago," with James Naughton as Billy Flynn. The casting of the twentysomething Reinking to replace the fiftysomething Verdon was considered insulting by some, while others thought Reinking too young and inexperienced for the role. Nevertheless, she received good notices and won audiences over. “Dancin'” (1978), Fosse’s free-form salute to Broadway gypsies, further raised her profile, and she was again nominated for a Tony for her terpsichorean feats. 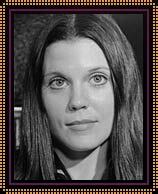 Her subsequent stage work was sporadic, distinguished by her own Off-Broadway show, “Ann Reinking … Music Loves Me” in 1984 and the lead in the Fosse-directed revival of “Sweet Charity” in 1986-87 (Once again inheriting a role created by Verdon). After the birth of her son and her relocation to Florida, she more or less withdrew from performing. 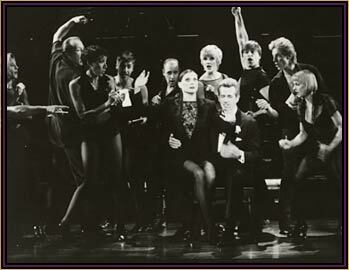 In 1996, Reinking was asked to appear in and help stage a concert-version revival of “Chicago,” which proved so popular and successful, it was moved to Broadway. Her choreography retained much of Fosse’s dark, jazzlike, fluid body movements, yet added her own original touches. In the late ’70s and early ’80s, Reinking had a brief flurry in films and on TV. She debuted as “Troubles” Moran, a sultry nightclub singer, in Stanley Donen’s pastiche tribute to old Hollywood, MOVIE MOVIE (1978). Although their off-screen relationship had cooled, Fosse tapped her to play his alter ego’s girlfriend in the autobiographical ALL THAT JAZZ (1979). In the film, Reinking has a lovely moment with the choreographer’s daughter where the duo perform a musical number for him. As the film was conceived and directed by Fosse, the role was assumed to be based on Reinking as well. She was the secretary to Daddy Warbucks in John Huston’s overblown screen version of ANNIE (1982) and was Micki, the pregnant wife of Dudley Moore’s philanderer, in MICKI & MAUDE (1984).